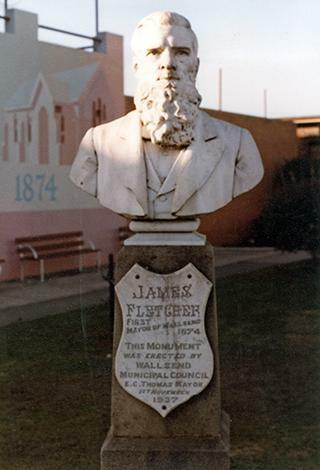 James Fletcher had a gift for arbitration and negotiation between management and miners and advocated tirelessly for better working conditions. It was through his work that ‘the sick and accident fund of the A. A. Company's collieries was established and a colliery doctor appointed to look after the miners and their wives and families'. He worked to achieve education and electoral reform and petitioned against unfair wharfage dues and the centralisation of Sydney which deprived Newcastle of a water supply, port facilities, public buildings, railways, roads, defence, and recreation reserves. In 1876, he became proprietor of the Newcastle Morning Herald and Miners' Advocate, now known as the Newcastle Herald. He frequently wrote under the pseudonym ‘Argus' criticising the mine operators and advocating for miners' rights. He has also been accused of using his newspaper to influence its readers for his political gain and the benefit of mine operators. Under his management the newspaper averaged a readership of 8,000 per day in 1879. In 1874 he became the first Mayor of Wallsend, and in 1880, he entered State politics as the Member for Newcastle. In 1886 he was N.S.W. Minister for Mines and in 1889 Minister for Public Works. He remained a Member of Parliament until his death in 1891. Lingard, Eric. "About 25,000 saw the Funeral of James Fletcher." Newcastle Morning Herald, 28 Aug. 1968. Print. Lowndes, J. G. "James Fletcher, The Miners' Advocate." Newcastle History Monographs No. 10. 1982:9. Print. "Man Behind the Herald; 150 Years in Print from The Newcastle Chronicle to The Herald of Today: James Fletcher." Newcastle Herald, 13 Nov. 2008:7. Print. Text © M. Sherwin, 2013.